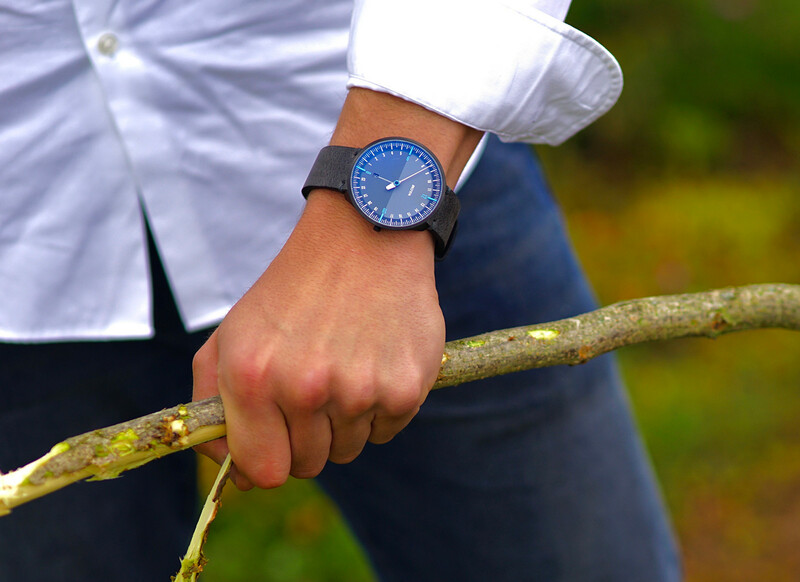 Our most masculine watch in the most manly of colours. 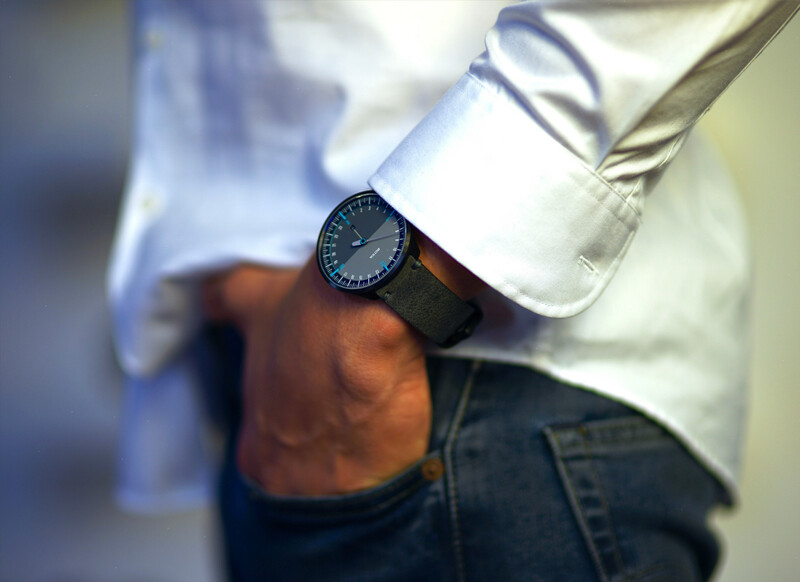 All of its case and strap elements appear in stylish matt black, giving the entire watch an even more technical and engineered look. 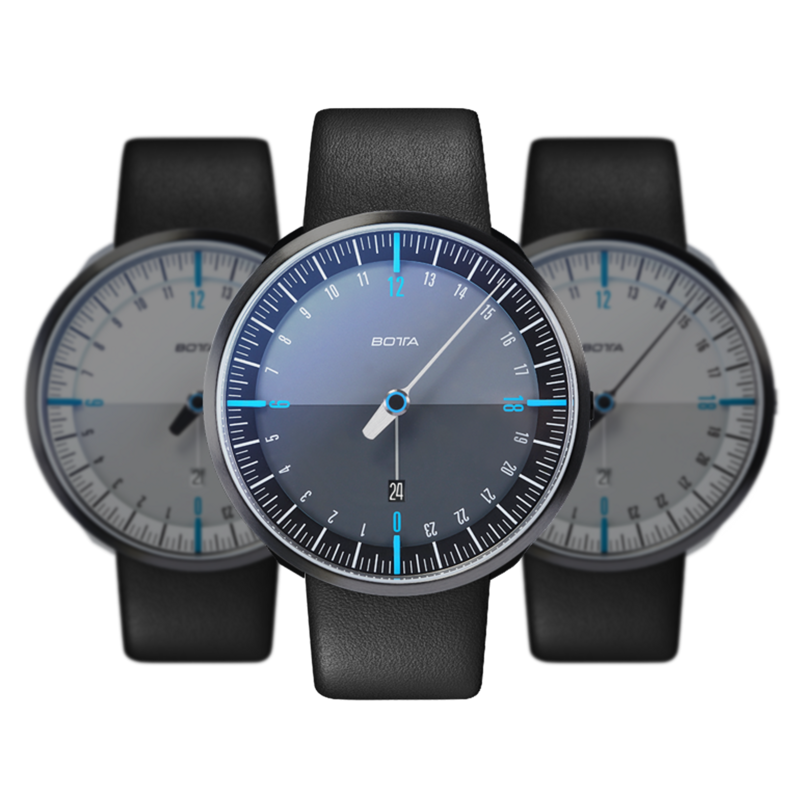 This focuses attention on the interaction between hand and dial. The perfect symbiosis of functionality and elegance. The idea was not only to make the new UNO 24+ Neo significantly larger than its more diminutive counterpart, but also to give it a fundamentally new and more expressive design. Building upon our 24-hour one-hand principle, we redesigned literally every detail of the watch. Not only has the dial increased in size by no less than 26%; the numerals and scale markings have also been enlarged by the same amount. The “plus” in the UNO 24+ Neo stands for additional size and contrast, while at the same time adding to the watch’s readability and comfort. The new UNO 24+ Neo is available with either a white or a dark dial. Botta-Design has a reputation for painstakingly designing its products right down to the tiniest detail. 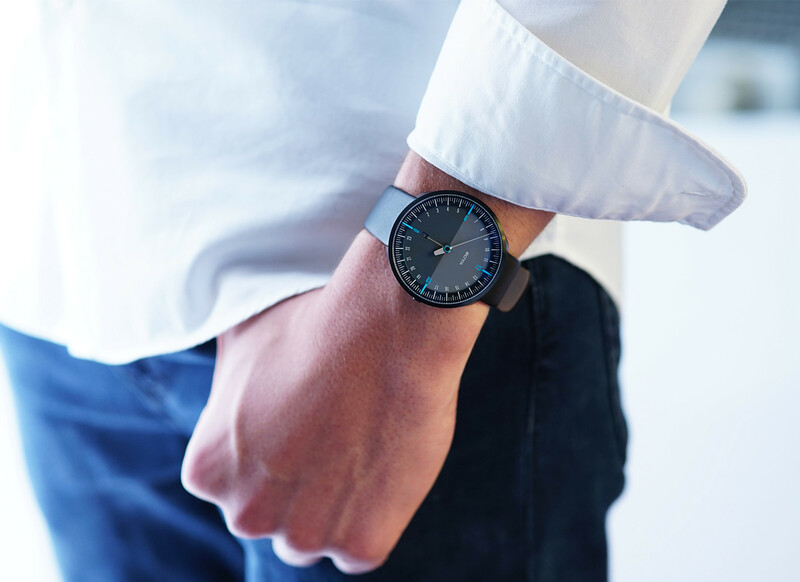 This is particularly obvious in the black UNO 24+ Neo: no matter whether you look at the watch from the front, from the side or from the back, it always stands out for its architectural clarity and functional aesthetics. Take a look for yourself – we think you’ll agree. 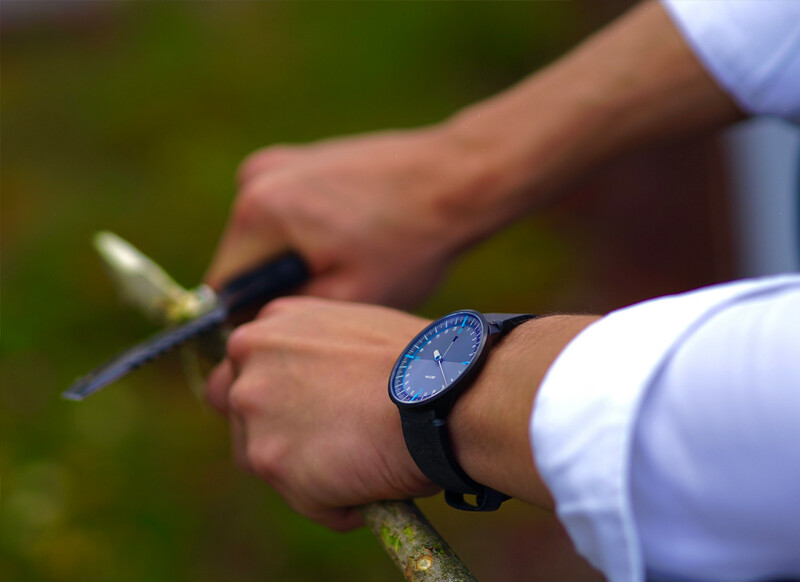 It is not only the design of the watch that is first-class – its materials and craftsmanship are too. 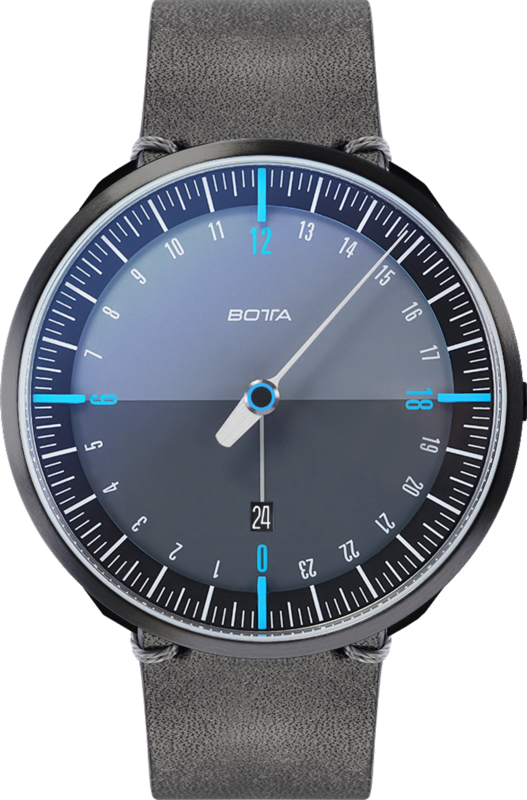 Stainless steel case, PVD coating, dual-domed sapphire glass with anti-reflective coating on both sides, Swiss quartz movements and high-quality leather, metal or rubber straps come as standard in this highly expressive design icon from Botta-Design. The original Ronda movement ensures that the UNO 24+ Neo will run smoothly and precisely for many years, which reflects the Botta principle of technical and design durability in its German-made watches. 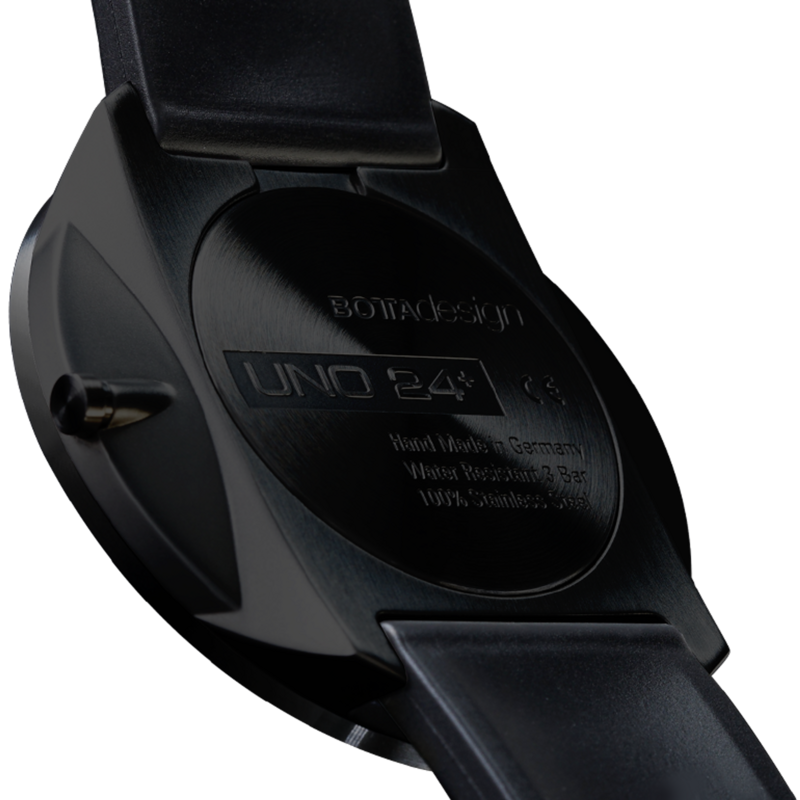 The UNO24 PLUS Black Edition Blue Quartz will be shipped . Until then, the model can be pre-ordered at a discount of € -498. Shipment will be on a first come, first served basis.